Elephone company is not idle, and introduces a new product. 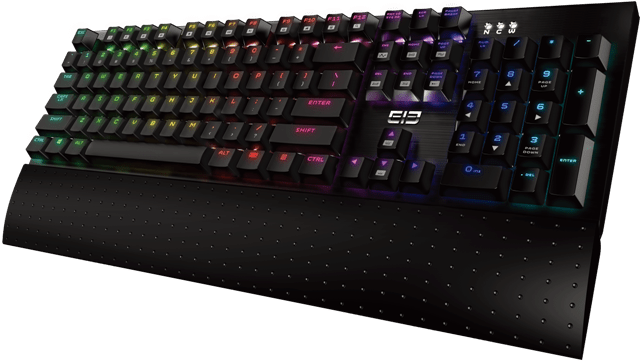 This time it is not the smartphone, a necessary thing for any PC user, it is a mechanical keyboard equipped with full-boday metal and cool RGB lighting called EleEnterGame1. The RGB of EleEnterGame1 can be set combination key via lighting, and users can set up optional key lighting based on their preference. Ergonomic design with step-Cap curve and mechanical components make the experience outstanding. Each mechanical axis was tested rigorously, life of it can up to 50 millions/times, perfect experience will be exerted in the game playing. Is Elephone company wants to compete also in this segment, it was going to happen. Visually, the keyboard looks elegant and ergonomically. Focusing on appearance can conclude that visually EleEnterGame1 can compete even with Razer Blackwidow X Tournament Edition Chroma. Will it be only one mechanical keyboard from Elephone, we will have to wait for a response yet. After the name EleEnterGame1 can hope that this is just the beginning. It is reported the keyboard will be available in the near future with a surprised price.